We here at Dream In Gold Volleyball Club believe in giving an awarding volleyball experience through Elite level training. While embracing the culture, and diversity within our community we strive to make sure all athletes involved learn the fundamental skills of volleyball that will be able to take them to the next level. Dream In Gold is founded on the idea of playing with a passion. We want to drive the ideology of playing with a passion and a sense of purpose to guarantee reaching an elite level. With the understanding that everyone learns at a different pace, Dream In Gold looks to establish fundamental skills that can translate to every age level. Dream In Gold is also Team Nike!! Looking for more gear to sport? Follow this link to find what you need and more!! Store Closing Soon! Need info on how to register? This link will give you all the information you need to do so! Click it, and find out more information about SCVA!! Want to take the game outdoors? 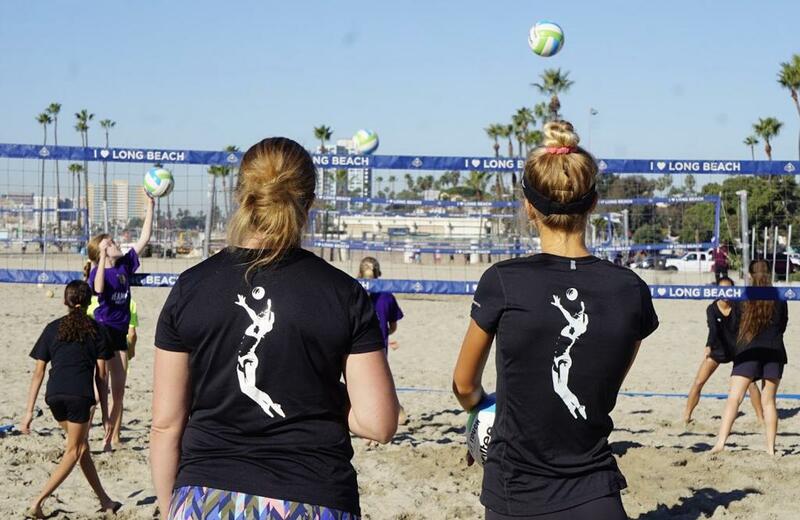 Here at Dream in Gold we offer not only indoor training every week, but also beach training! If your looking to compete, this link will lead you to the right direction! Need More Information? Contact us with all your questions!!! ©2019 Dream In Gold VBC / SportsEngine. All Rights Reserved.